Johannes Linstead is an award-winning guitarist and instrumentalist who fuses virtuoso level Spanish-style guitar with Afro-Cuban, Middle Eastern, and Latin American percussion and instrumentation. His recordings of world music have all charted on Billboard Magazine. 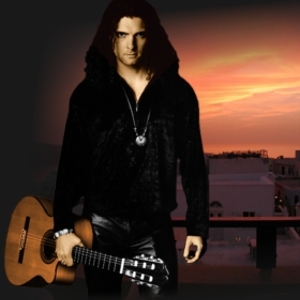 In 2010, Johannes was named "Best World Artist" in the T.O.M.A Awards and in 2007, he was named "Guitarist of the Year" in the prestigious Canadian Smooth Jazz Awards, and his CD, Cafe Tropical, earned a JUNO nomination for "Best Instrumental Album". Linstead currently lives in Oakville, Ontario, just west of Toronto. Aside from his guitar virtuosity, he is also a certified yoga instructor and a very accomplished pianist, and is known to grab the odd maraca and add in rhythm fills. He released a beautiful holiday collection in the fall of 2006, and a piano album which is available from his website.